I know it’s not even Halloween yet and I’m talking about Christmas! But, so many great days out need you to book and if you don’t get in quick you can miss out, or end up with a time slot of 6am. I thought I would share with you some days out that we’ve got planned already to do with the girls, plus some other great days to do at Christmas time. Last Christmas I took Alice to Disney on ice with my niece, sister in law and my mum. Holly was just to little to sit through it and the timing of it was right at nap time. Alice just loved it, she sat mesmerised the whole time. It was so lovely to watch her totally enthralled in something and not quite believing what she watching. 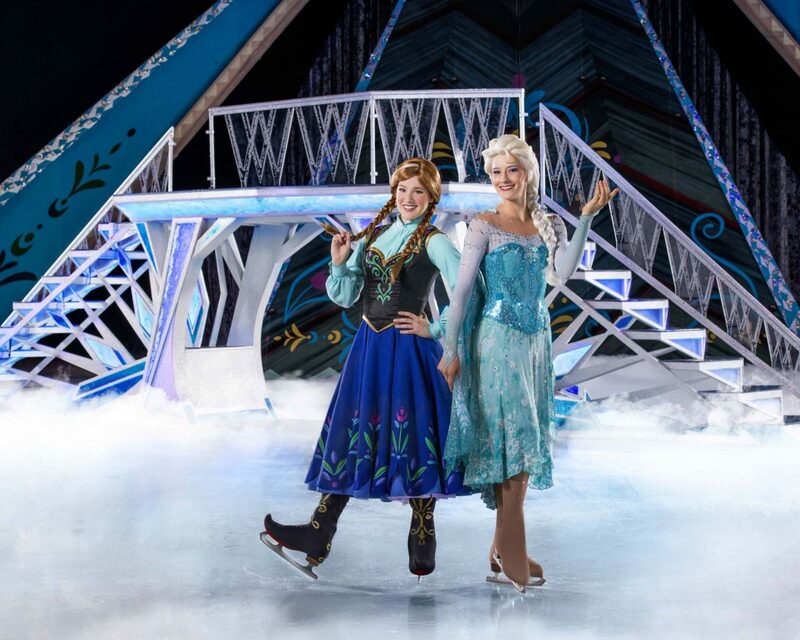 Well this year its back and this time its Disney on Ice presents Frozen. It is hosted by Micky and Minnie Mouse and there will be special appearances from beloved Disney Princesses and characters from all-time favourites like Disney/Pixar’s Toy Story, Finding Nemo and Disney’s The Lion King. Sounds fantastic and this time we are taking both Alice and Holly. The good news is this is not just on in the south, its nationwide. You can check out all the venues and dates here. We will be heading to the O2 in London just before Christmas, so pop back and see how we got on then. Disney on Ice starts on 18th October and is across the country until 30th December 2016. This is one of our favourite days out all year round. It’s a lovely garden centre that has grown to include a few animals, a park, PYO fruit and seasonal events. Everything is free apart from the seasonal events they run and you pay for any fruit that you pick. We’ve been to a couple of Father Christmas events and last year we booked the one at Millets Farm. 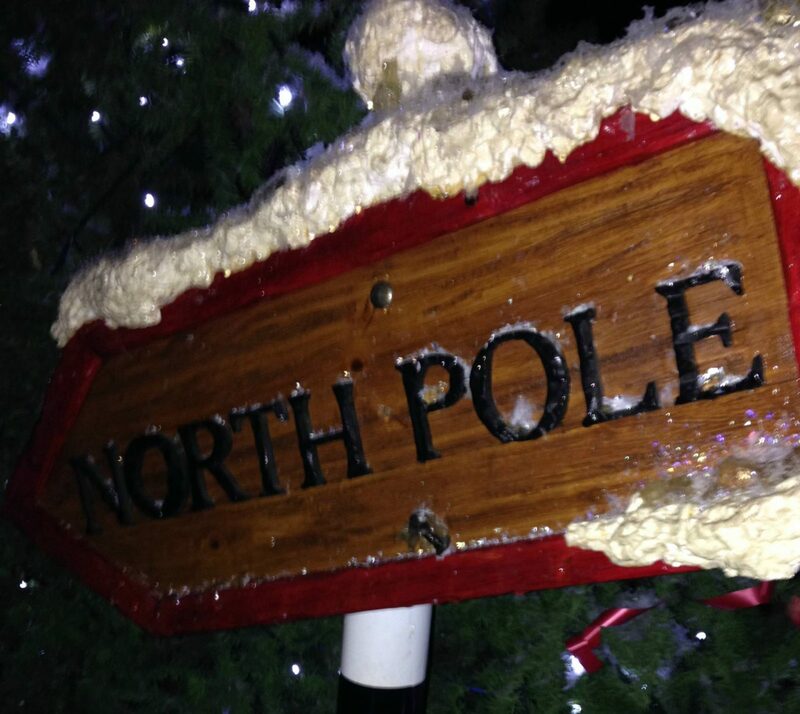 It was the best Father Christmas experience we’ve been to and we are going back this year. You enter the magical wonderland and are greeted my elves who help you make some food for the reindeers, ready to sprinkle on Christmas Eve. You then enter Father Christmas’s living room and here you listen to an enchanted story, read by Father Christmas himself. What I loved is that you don’t go straight into Father Christmas it starts of gentle with the elves, which is great for younger children. Plus you all go in together to sit and listen to the story, siting on bean bags. Then you have a chance to go over and talk to Father Christmas and let him know what you would like for Christmas. Next you head into his warehouse and you can choose your own present to take home. This was amazing! If you would like to find out more or book to go, head to their site here. They also have ice skating too, which I took Alice and my niece to and that is lots of fun. Santa’s grotto opens on Saturday 12th November until Saturday 24th December 2016. 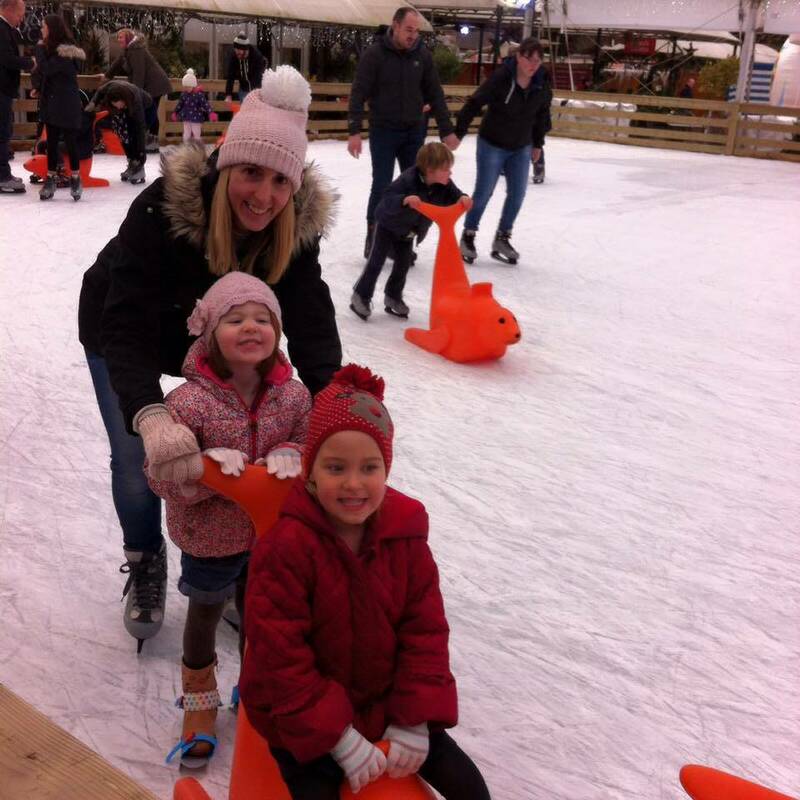 The Ice Skating opens on Saturday 19th December until 2nd January 2017. If like me you love the magic of Christmas then this might be perfect for you. I first heard about Lapland UK a couple of years go and it sounds amazing. It’s probably one of the most expensive Christmas experiences that I have come across, but it includes so much and is one of those things you will probably only do once. Once you’ve booked you complete some details and your child receives a personalised invite from Father Christmas. On the day they receive an elf passport, which allows them to pass through the elf woodland to Lapland. The whole experience takes 3 1/2 hours and includes helping the elves in the toy factory. Decorating gingerbread with Mother Christmas, ice skating, meeting the huskies and reindeer, visiting the elves village and writing letters from the elves post office. The day ends with a personalised visit to see Father Christmas in his woodland home, where each child will receive a present to treasure. You also get a family photo taken with Father Christmas. It really does sound like the perfect Christmas experience. You can find more here. They also have special Superstar days, where they tailor and subsidise the experience to support families with additional needs. I have never come across this before and its great they are working hard to bring the magical experience to all children. Lapland UK opens on Saturday 19th November until Saturday 24th December 2016. Garden centres are great places to take children and Christmas is no different. Wyevale Garden Centres are across the country and they have a lovely experience to book and have either breakfast or tea with Father Christmas. We have a Wyevale Garden Centre near us, but I haven’t been to this Christmas Experience myself but I know friends that have and they said how lovely it was. There are a couple of meal options for you to choose from and in addition to this the children receive a special present from Father Christmas, biscuit decorating and fun activities. Tickets cost £9.99 for a child and from £3.99 – £7.99 for adults, depending which meal option you choose. This really sounds like a lovely way to introduce to your child to Father Christmas. Find out more here. What two things could be better, than meeting Thomas and Father Christmas on the same day. Thomas is a regular visitor at Didcot Railway Centre, where he is welcomed by his friends the Great Western Engines. You get to have a ride behind Thomas, shake hands and have your photo taken with The Fat Controller, take part in Thomas themed activities and lots more. At Christmas Thomas likes to take his young friends to meet Father Christmas in his grotto. If you have a little one that loves Thomas the Tank Engine, then this sounds like the perfect day out. A Day out with Thomas and meet Father Christmas are taking place on selected days in December, if you head over to their site here, you can see all the dates available. Paulson’s Park opens its doors for a wonderful Christmas Experience. We took the girls there two years ago, when Alice was two and Holly was four months old (yes, it was for Alice really!). They open up selected rides, so do check before you book. From what I remember most of the Peppa Pig World rides were open. You book your time slot to go and visit Santa in his grotto and the rest of the time you are free to go round the park on the rides. So, the price reflects this, as it is more than just a visit to see Santa. When you go to meet Santa, you get to meet many of his friends along the way until you arrive at his grotto. All children receive a present and there is a festive treat and hot punch for adults. When we went it was our first time at Peppa Pig World and it was a great way to introduce Alice to a theme park, as it wasn’t busy and we didn’t have to queue for the rides. Holly was too young to go on the rides, but she was at an age where she slept most of the day and Andy and I took it in turns to take Alice. 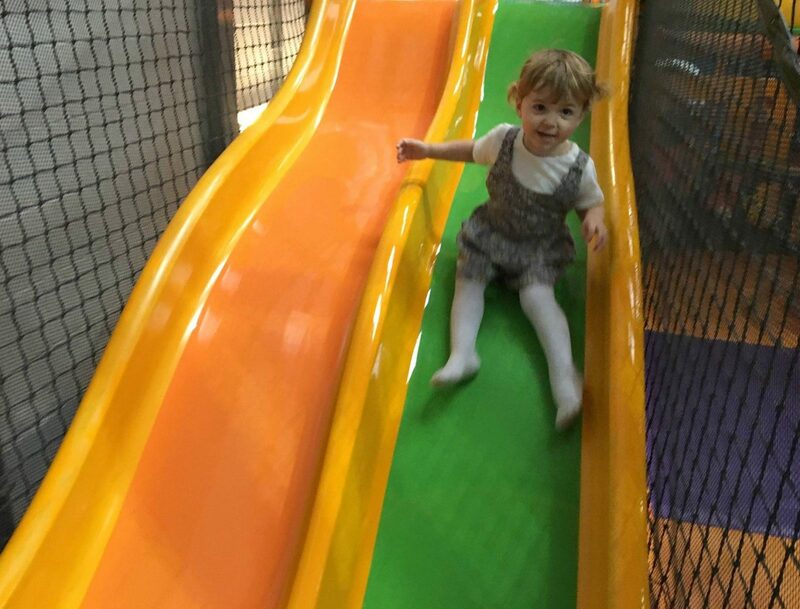 They have a great indoor soft play and there was a section which was perfect for Holly and we would pop in to warm up. We were lucky with the weather and it was dry and not too cold. You must pre-book the santa experience and it starts on Saturday 19th November until Friday 23rd December 2016. Find out more here. Kids n Action is a fantastic soft play and there is so much to do for children. The areas are well segmented for the different ages groups. As well as your traditional soft play of climbing around and going down slides. It also has a high street with different shops for the children to play in. There is a cafe, a vets, a JCB room, a hospital, a shop etc and they can dress up. From 17th – 24th December there will be an opportunity to visit Santa in his grotto. The visit is included in the soft play entry fee, if you want a present it’s extra. Find out more here. This looks like a great way to combine a day out at soft play with meeting Santa. National Trust places are a lovely day out with children and at Christmas, Father Christmas will be setting up his Grottoes at various different National Trust locations. We are lucky that we have a few National Trusts within easy reach and we love them. I think a trip at Christmas time will definitely be in our plans too. 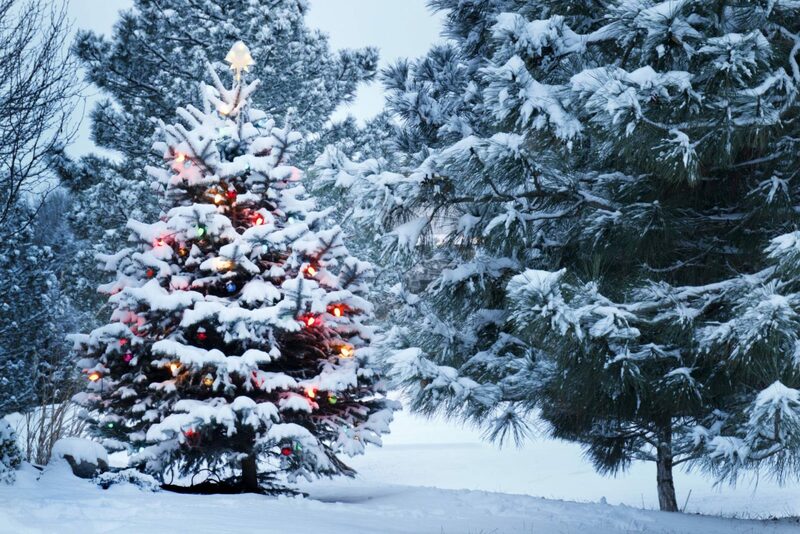 You can find out here which National Trust have events happening at Christmas. There is something very magical about ice skating outdoors surrounded by the twinkle christmas lights. I went ice skating at Somerset House about seven years ago, before I was a mummy myself. I went with my friend and her two daughters and it was a wonderful day out. Somerset House is stunning and getting to skate in the courtyard is fantastic. To the side of the main ice rink they have a training rink for under 8’s, where they can use polar cubs to ice skate with. You can’t take the polar cubs out on the main ice rink. If you want to add to your ice skating experience you can go to the Fortum Lodge and enjoy a hot chocolate or glass of champagne. Things have certainly changed since I went as they now have club nights too. It opens on the 17th November until 15th January 2016. You can find out more about it here. These are just a few days out that either we have been on ourselves over the years, or are planning to do, or just look fantastic and I wanted to include them too. Disclosure: We’ve been invited to attend Disney on Ice, but I haven’t been asked to write this post, just my review post which will be coming. But I wanted to include it here, as we love it. Oh there are so many amazing things happening at Christmas! We did breakfast with Santa at Wyvale last year and it was brilliant. I wrote a similar post to this about things around here and people are using it so much, it’s really nice to be helpful and let people know what’s going on! These all sound amazing, I would love to go to Lapland UK once our sons a bit older so he can get excited, as it’s so expensive! My aunt lives just down the road and we’ve always thought it looks amazing when we’ve driven past! I really want to go to Frozen on ice. 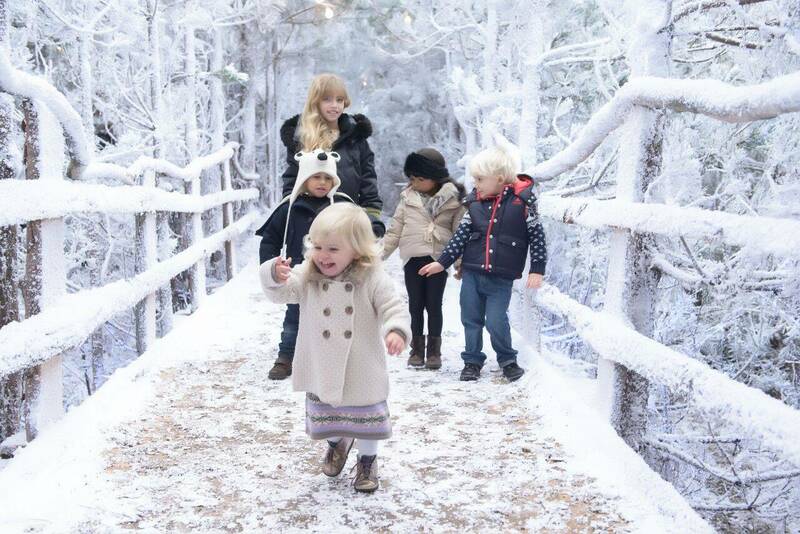 I also want to take the girls to Lapland UK because its not that far from us, but it is very expensive. I might take the girls next year because I think they will both be a good age to appreciate it then. A lovely roundup of activities… I’m getting very excited for christmas now. Thank you for sharing this with #PicknMix Love the sound of many of these places. We’ve done Didcot with Thomas at Christmas and Millets, and both are fab. N wants to see Father Christmas again this year, but I’m not sure we have the time as all our December weekends are booked up, and we’re unlikely to get in for Christmas holidays. So we’ll have to see. Lapland UK sounds amazing. There are some lovely places on this list. We did the Paultons Park Christmas wonderland last year and it was lovely, a great day that we all enjoyed. Oh my goodness what brilliant places to visit to get into the festive spirit. They look absolutely great and I wish Christmas was sooner now. Thanks so much for linking with #KCACOLS. We hope you come back next week. These all look great! I’m itching to go to Lapland UK but I don’t think it’ll happen this year. And I tend to avoid Kids N Action like the plague (the NOISE!) but I should probably give it another chance while it’s relatively quiet. Love the sound of Somerset House – I’d never heard of that so will check it out. Thanks for this!